Spinster by Kate Bolick – Some of you probably saw my review of this book, so I won’t go into much detail. Suffice it to say, I thought the author came off as being a pretentious word-nerd who liked to throw her education around a bit too much. 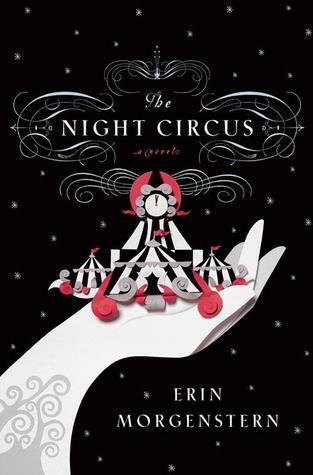 The Night Circus by Erin Morgenstern – The fact that this book has so many fans baffles me. I have never been able to get beyond the first few chapters. There’s just something about the writing and narration that instantly makes me dislike this book. The Eye of the World by Robert Jordan – I expect a bit more from my fantasy these days, and I just got bored reading a story that I felt like I had read a thousand times already. Yes, Jordan was one of the earlier fantasy authors so technically he may have been first, and at the time he started his series this was what people were expecting from the genre, but I just can’t get beyond the first few chapters before I have to tap out. A Game of Thrones by George R.R. Martin – I am not lying when I say that my dog ate this book. Honestly, I was relieved when I saw the carnage because I felt like I must be the only person in the world who doesn’t like these books. There are just too many characters, too many stories, and too much description for me. I want a book to transport me into the story, and I don’t want to have to refer to a genealogical chart every 5 minutes. I Saw A Man by Owen Sheers – This book was nominated two months in a row by my reading group, and even though I had 2 full months to read it, I just couldn’t do it. The fact that the interesting story kept getting interrupted by flashbacks that spanned chapters was so frustrating. The writing was beautiful, but the content was boring. 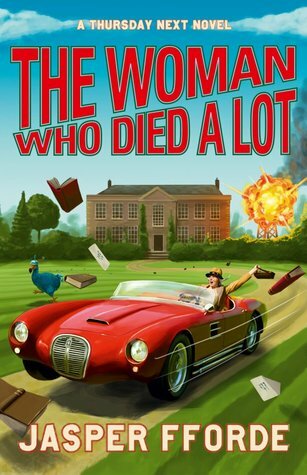 The Woman Who Died a Lot by Jasper Fforde – I really enjoyed the first couple books in this series, but by the time I had reached the seventh my interest in the world and characters was waining. I found the writing wasn’t as good, the plots seemed scattered, and it felt like very little thought or work was put into the book because “crazy” was the norm. The Girl Who Played with Fire by Stieg Larsson – I forced myself to get through the first book, so it didn’t come as a surprise when I had reached the half-way point on this one and decided to give up. When you can essentially skip the entire first half of a book without losing any of the interesting parts, it’s not a good book. The Tenth Chamber by Glenn Cooper – I really enjoyed Glenn’s first series, so I was really disappointed when this book didn’t live up to my expectations of his writing abilities. I found the characters in this book to be entirely unlikable, which is okay if it’s on purpose, but it definitely wasn’t intentional. The story didn’t grab me, the plot moved too slow, and eventually I just set it down and never came back. The Sweetness at the Bottom of the Pie by Alan Bradley – I really thought that I would like this book, but Flavia is one of those child characters that is far too smart for her age, and I just couldn’t buy it. It just felt like she was a much older person stuffed into the character of a young girl. I’m not expecting entirely realistic characters in these situations, but I need a bit of believability. 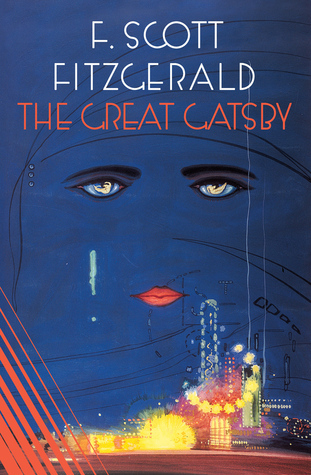 The Great Gatsby by F. Scott Fitzgerald – I was assigned this book in university and after making a valiant effort, I gave up and read the Sparks Notes. I even ended up using some of the information gleaned from their synopsis on a paper I had to write later. I just couldn’t find it in myself to want to read about spoiled rich people partying it up. I can’t think of any books that I have refused to finish, but I know there are LOTS of them. Actually on second thought, The Pearl by John Steinbeck is one that I can remember, that I refused to finish(even though it was for school!). It was awful. These ones were big for me either because of the hype surrounding them, or because I had enjoyed other stuff by the authors and was surprised by how much I disliked these titles. OMG yes, thank you for mentioning GOT here. You’re not alone. So glad to hear it! As someone who generally likes the fantasy genre, it felt like I was betraying my reading roots when I couldn’t get beyond the first few chapters. Right? As a Fantasy writer, it absolutely killed me to hate this book as much as I did (because I love the series)! But I couldn’t even finish chapter two. I finished The Great Gatsby, but it was the most infuriating read. I’m sad you have The Girl with the Dragon Tattoo on there… have you tried the any of the films? I’d have to add Quiet by Susan Cain, that too is longwinded and The Gateway to Women’s Country it was just upsetting. I have watched the original Dragon Tattoo film with the subtitles but never got around to the newer Hollywood version. I definitely think it does far better as a movie than as a book. All the description that drove me nuts about the book was just setting. I’ve tried Quiet as well and gave up. I like the idea, but I felt like the point was made early in the book and the rest was just filler. I haven’t read any of these but you seem to have pretty good reasons for not wanting to finish them. I usually read all my books all the way through, I want to get my money’s worth and I’ll never not finish if I make it to 50% of the way through even if it was a slog to get there. Still there are a few rare books (mostly classics) that I’ve never managed to finish. I used to try to finish every book I started, but when I was in school and had to read many books at the same time for essays and projects I learned to let some of them go.